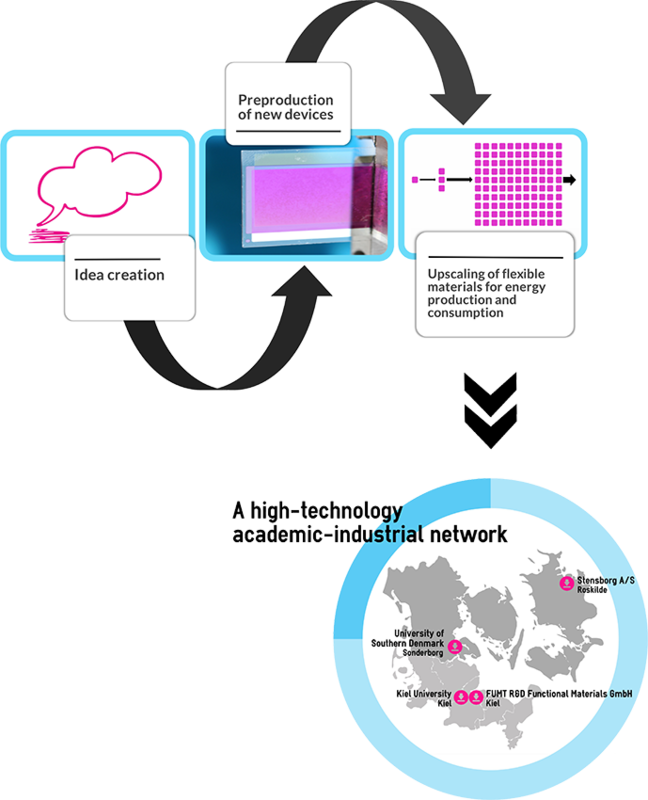 The project network is led by staff members of the Nanoscience Centre SDU NanoSYD of the Mads Clausen Institute at the University of Southern Denmark in Sonderburg. Further partners are the Kieler Nanolabor of Kiel University and the companies Stensborg A/S and Phi-Stone AG (former FUMT R&D Functional Materials GmbH). In addition, the companies Polyteknik A/S, LEAP Technology, Fraunhofer FEP, CLEAN, UdviklingsRåd Sønderjylland, Sønderborg Vækstråd, WTSH, Max Steier GmbH, FURGY, NINa, and Rako-Etiketten GmbH participate as network partners. Read more about the individual partners and their facilities in this menu option.